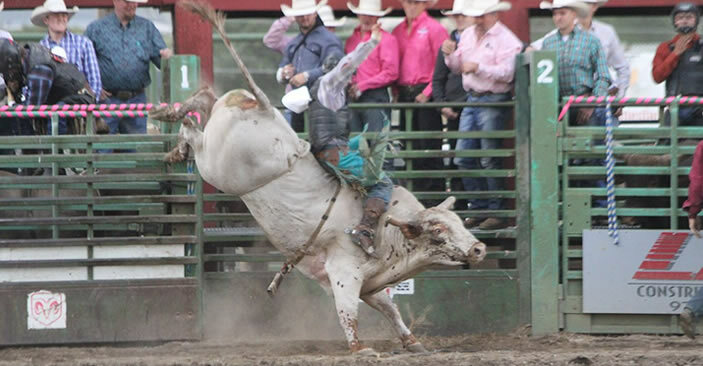 GUNNISON, COLO. (July 23, 2018) – Wrangler®, the iconic American denim brand representing timeless authenticity in apparel and leading sponsor of the Professional Rodeo Cowboys Association (PRCA), today announced that its partnership with Gunnison Cattlemen’s Days Tough Enough to Wear Pink™ (TETWP) has reached a new milestone: $2.7 million in local funds raised for breast cancer awareness and treatment since 2006. That year, Wrangler made an initial donation of $230,000, matching what the event had raised in its first three years combined. Through this event and other initiatives, Wrangler continues its remarkable support of the ProRodeo community. Founded in 1947 through work with members of the PRCA to develop the Original Cowboy Cut, 13MWZ, the brand sponsors 200 select rodeos annually, including the title sponsorship of the Wrangler National Finals Rodeo and is the official jeans and shirts of the PRCA. Wrangler continues to sponsor more than 120 contestants, announcers, bull fighters and other members today, outfitting them in the only jeans and shirts licensed through the PRCA. TETWP is a 501(c)(3) nonprofit organization dedicated to providing local funding for breast cancer awareness, prevention, education, support, breast screenings, and equipment. 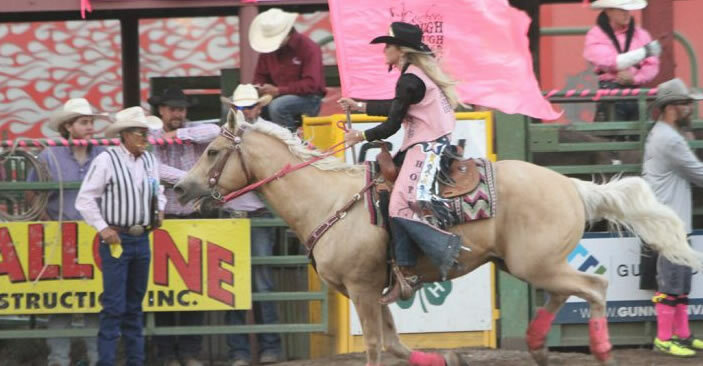 Championed by country music artist Dean Dillon and based in the center of the cool Colorado mountains, Gunnison Cattlemen’s Days TETWP is the #1 rodeo fundraiser of the PRCA. Today, Wrangler is the title sponsor of both the PRCA and TETWP nationwide, as well as a Gold Buckle sponsor of Cattlemen’s Days TETWP. The brand has helped raise more than $26 million for TETWP since its inception. 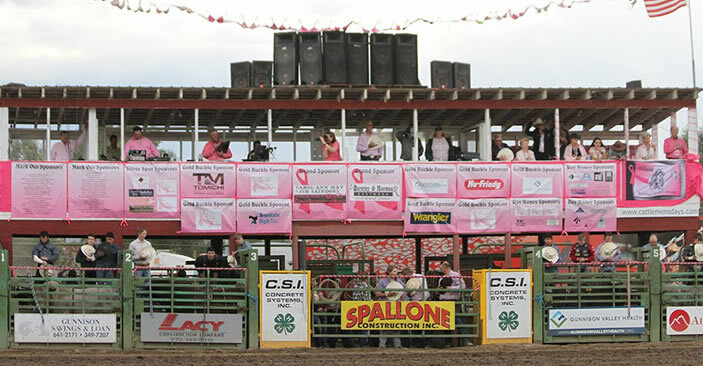 At its most recent fundraising event, held this month, Cattlemen’s Days TETWP raised $360,000 to support the fight against breast cancer in its hometown. This most recent effort will generate funds for services, medical equipment and support, continuing the community’s strong momentum towards making Gunnison Valley Health the number one rural hospital for breast cancer care in the United States. Nationally, one in eight women will experience breast cancer in their lifetime. In Gunnison, because of the athletic lifestyle, over 45 percent of female residents have high density breasts. Consequently, these women have a higher risk for breast cancer and need more sophisticated equipment to detect the beginning stages of breast cancer. 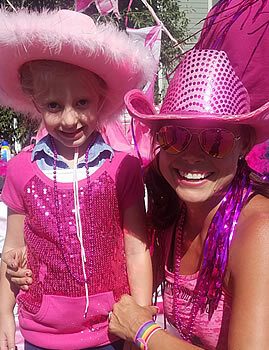 Cattlemen’s Days TETWP helps provide everything from free mammograms, transportation and food cards to financial support for leading edge technology that allows leading experts such as Stephania K. Timothy, MD to perform complex surgeries. 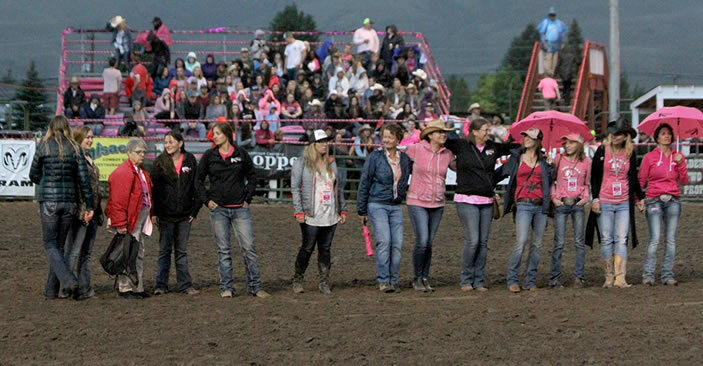 All of the money raised in Gunnison stays local, and a portion of proceeds from everything sold within the Wrangler Tough Enough to Wear Pink merchandise collection goes back to the campaign fund.